Planning to go on holiday abroad this summer? 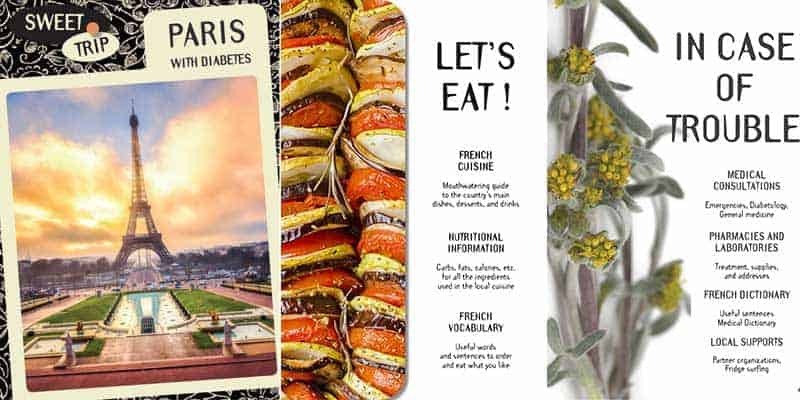 Here’s a new project that should be of interest to any of you traveling with diabetes: Sweet Trip’s Travel Guides specially designed by and for people with diabetes! My name is Laura. I’m a French 29-years-old travel addict. I was diagnosed with Type 1 diabetes when I came back from traveling in South East Asia in 2015. One of the first questions I asked the doctors from my hospital bed in Paris was if I would still be able to travel as much as I’d like. Picture my face when they told me that it was not advisable, or at least not alone, and not in “unstable” countries. Did I have to rethink my whole life and find something else to do and be excited about? I surely wouldn’t be able to accept that idea. Two months after the diagnosis, I went to Georgia with my friend and my backpack, to try and see what it would be like to travel to an unknown country with my new condition. Before departure, I looked for a lot of information on the Internet about how to manage my diabetes in that country. I remember writing an email to the national Georgian Diabetes Organisation to ask them about where to find insulin, what to eat over there, and a few more questions. But no one was able to provide me with valuable, concrete information about that specific country. And then I realized that It was the same for any other country. The internet is full of general tips and information for traveling with diabetes, but no one really tells you what to eat in Indonesia, how to see a doctor in Mexico, or where to find your insulin in Italy. And that’s how the Sweet Trip project was born! I quit my job as a Human Rights Lawyer and jumped into this new exciting adventure, with my boyfriend, our laptops, and our backpacks! A year later, Sweet Trip is here and our first travel guides are now published and available for anyone who needs them! So, what’s inside these travel guides exactly? We encourage any traveler to discover traditional food and explore local gastronomy by ranking the most typical dishes, desserts, and drinks, using a special “carbometer”. It gives you an idea about the most diabetes-friendly dishes you can find at your destination and how to balance out your local meals in the best and tastiest manner. 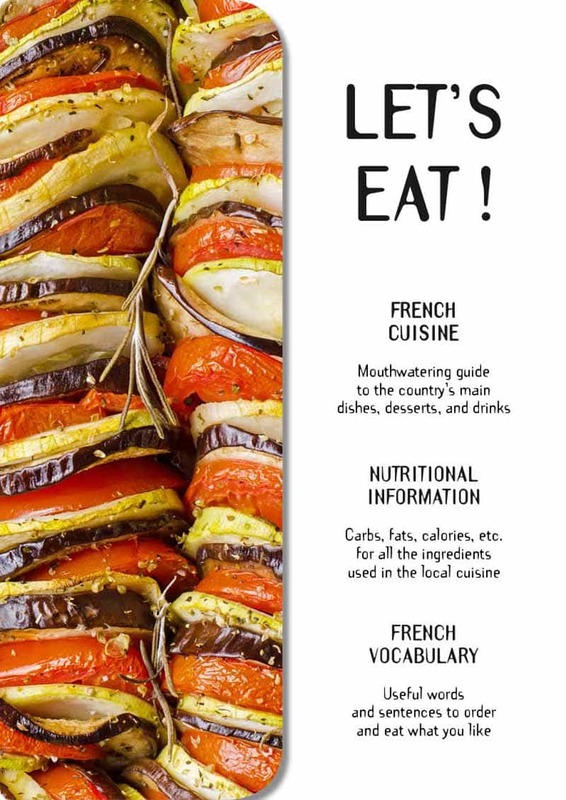 We provide tips, nutritional info, local vocabulary to order and eat what you like, healthy addresses and, of course, plenty of curious cultural facts and tantalizing pictures! 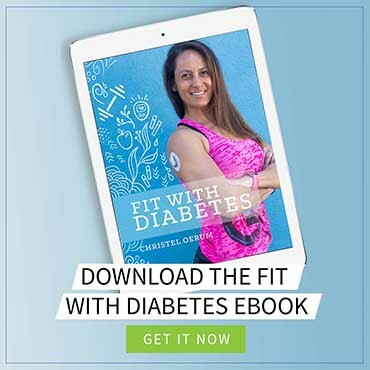 In this chapter, we focus on providing you with all the necessary information to quickly deal with any diabetes-related medical mishap during your stay. You’ll find everything about local medical services, diabetology, pharmacies, and laboratories. 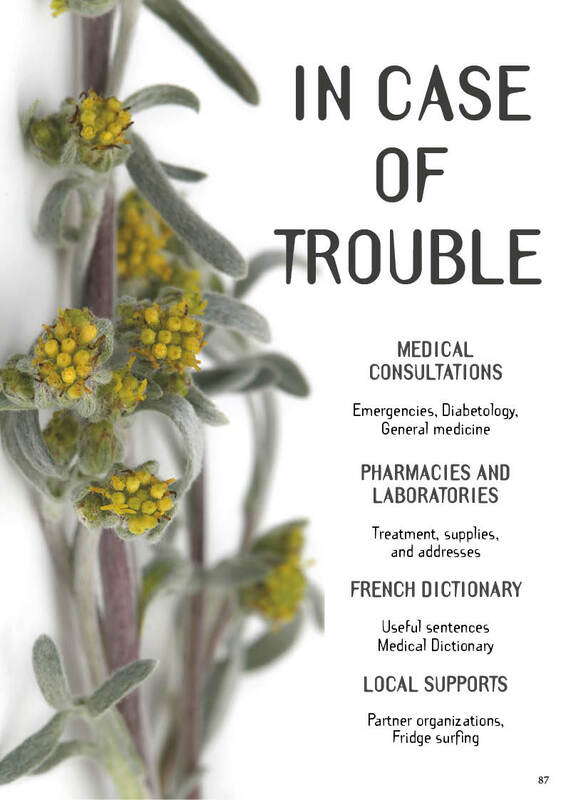 And it comes with plenty of useful addresses, a medical dictionary to help you communicate with medical staff (even if you don’t speak a word of their language), and local support and tips to travel in that specific destination with diabetes. Here, we’re taking you on walking and cycling discovery tours of your destination. Staying fit and exercising, even on holidays, is probably the best way to manage your diabetes. And what’s a better opportunity to exercise than discovering a new city? Plenty of walking and cycling itineraries (from 30 minutes to a full day) will take you to the most interesting sites, and are illustrated with detailed maps, data sheets, and large-scale pictures. It’s also full of compelling cultural facts that you won’t find in regular travel guides! Where can you get sweet trip’s travel guides? If your next holiday destination is not yet available, don’t hesitate to write us an email and ask for your destination of choice: we’ll cover it if demand is high! ([email protected]). Laura Pandolfi is a 29-year-old French traveler who was suddenly diagnosed with type 1 diabetes while traveling in Asia at age 27. 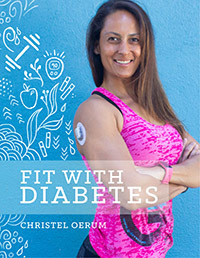 After the diagnosis, she quit her job as a Human Rights Defender in Paris and decided to dedicate her life to aiding others in traveling with diabetes.